Integrating Netsparker with an issue tracking system means that you can have vulnerabilities that have been identified during a web application security scan automatically created as issues in your existing issue tracking system. This integration allows you to import identified vulnerabilities as issues with just a few mouse clicks. First, you must define a new integration, otherwise the Integration Endpoint field will not be visible. 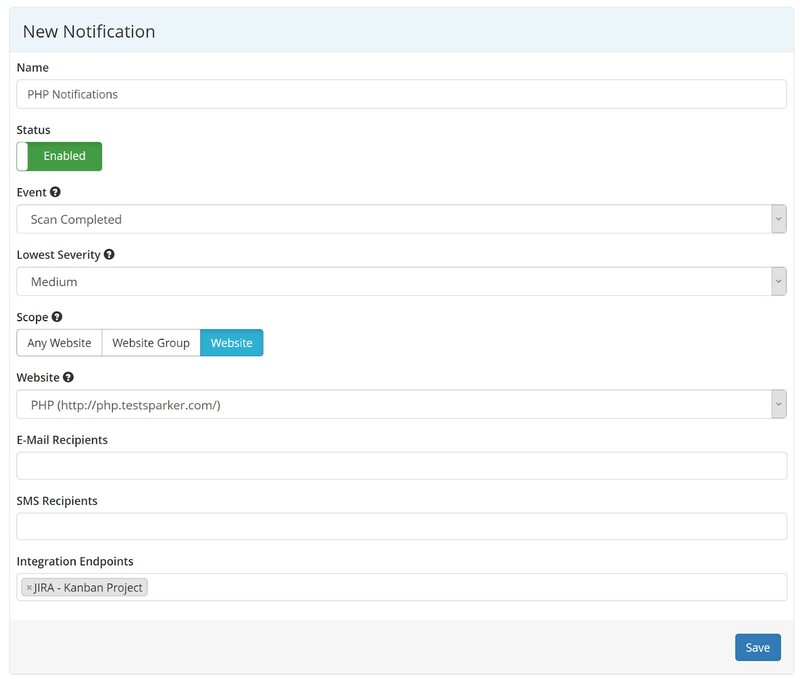 See Integrating Netsparker Enterprise with an Issue Tracking System. This type of integration in Netsparker Enterprise is called Endpoint Integration. Currently, Netsparker supports out of the box integration for TFS, JIRA, Github and Fogbugz. Notifications can also be used to automatically send Email and SMS alerts when vulnerabilities are identified on the target website. In this example, we will only configure a notification for a PHP project. The steps for creating a notification for an ASP project are the same.